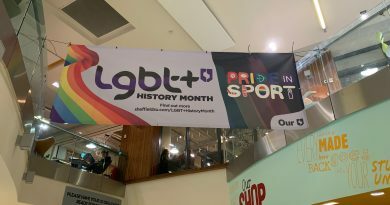 Positive stories from Sheffield’s young people were one of the highlights of an international event designed to celebrate sexual diversity. Last night more than 150 people attended the International Day Against Homophobia, Biphobia and Transphobia at the Peace Gardens. Among those who were at the event was Emily Lester, a support officer from Sheena Amos Youth Trust which is a youth charity based in Sheffield. The date of May 17 commemorates the World Health Organisation decision in 1990 to de-classify homosexuality as a mental disorder. And for more than 10 years Sheffield has marked this event with a public rally culminating in a ‘one minute noise’ as opposed to a silence. This idea was created in 2004 to draw the attention of policymakers, opinion leaders, the public and the media to the violence towards LGBT people internationally. Heather Paterson, Co-Chair at Pride Sheffield, said: “It was great to see so many people who supported equality and wanted to celebrate the diversity in our city. Ms Paterson also emphasised how the fight for equality was far from over. Many people read poems, speeches and sang songs at the rally to celebrate the advances made by activists and campaigners.